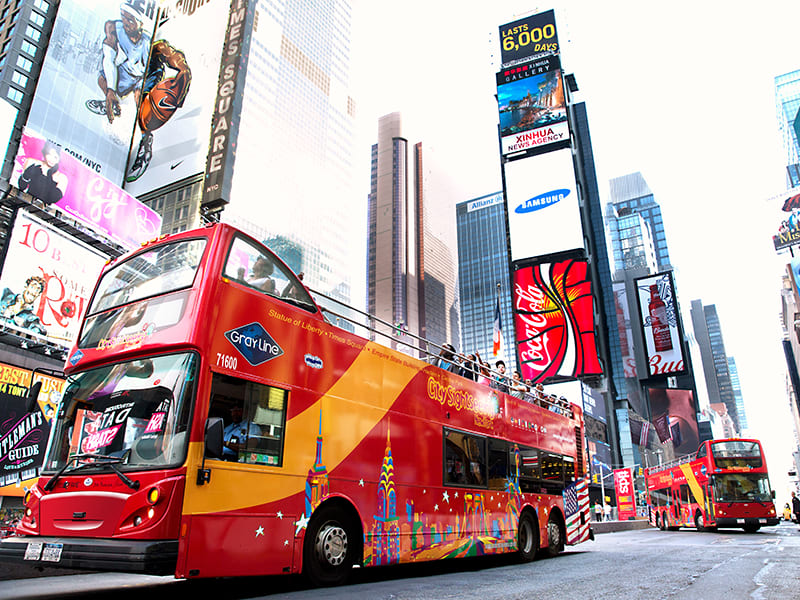 Experience some of NYC's most famous attractions by way of the city's top-rated double-decker bus tour. 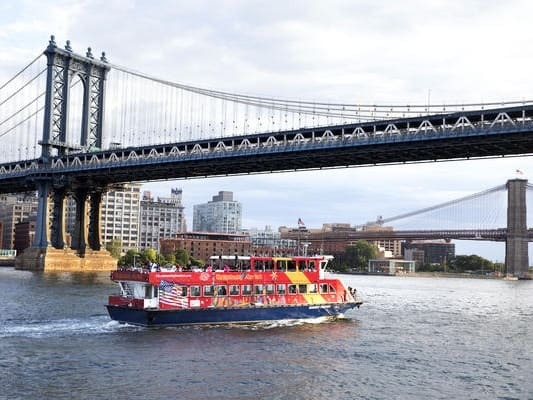 You have 48 hours of unlimited rides to explore 5 different tours loops, and even ferry transport to Ellis Island's Statue of Liberty. 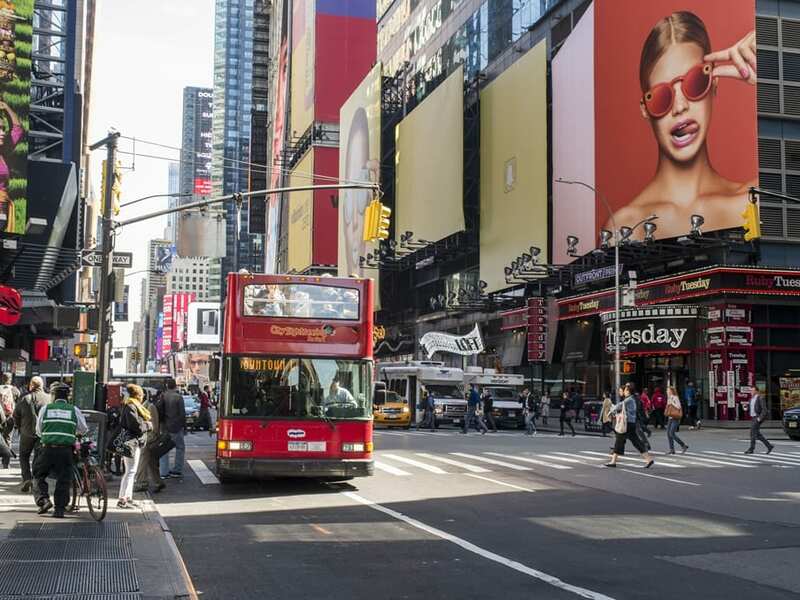 Make a stop and hop off at iconic Times Square, the Brooklyn Bridge, Central Park, the Empire State Building, and many other New York hot-spots. 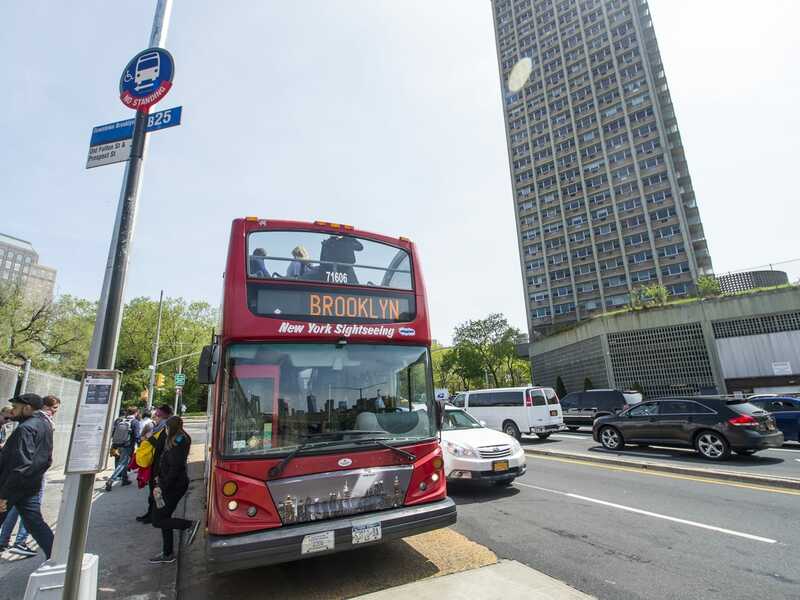 With buses arriving every 20-25 minutes, just hop back on to continue your adventure. You will also be able to enjoy admission to one of a number of unforgettable New York City landmarks and museums. You must exchange your VELTRA voucher for your bus tickets prior to boarding. Any passenger requiring an ADA accessible vehicle must inform the activity provider no later than 48 hours prior to departure. Your tickets will be valid for 48 hours from the time of check-in. Ferry ticket is valid for one (1) day.